After looking on my project roadmap, I’ve discovered that I’ve never released the Replic’Oric schematics! 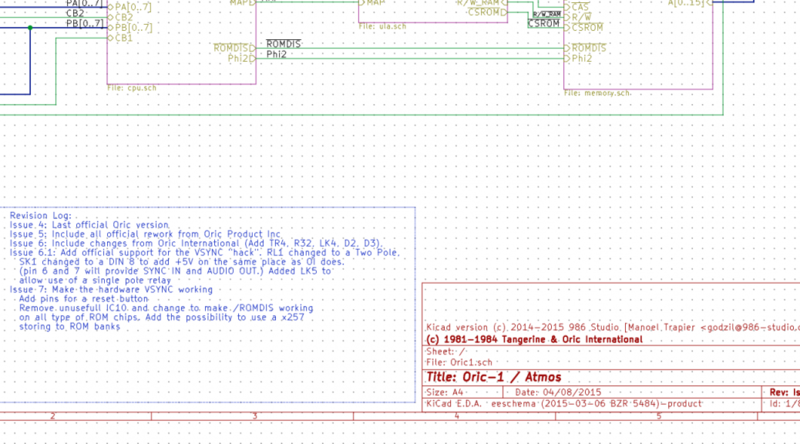 But first, please be warned, this revision is not the final one for the Replic’Oric project as the hardware VSYNC part is currently broken and shouldn’t be implemented the way it is now on this schematic. 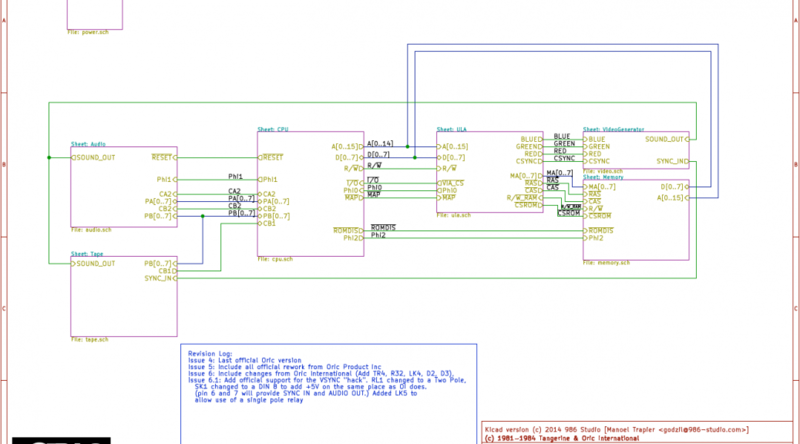 A newer version of the Oric Schematic has been release, please use this version for reference instead of the one in this post.